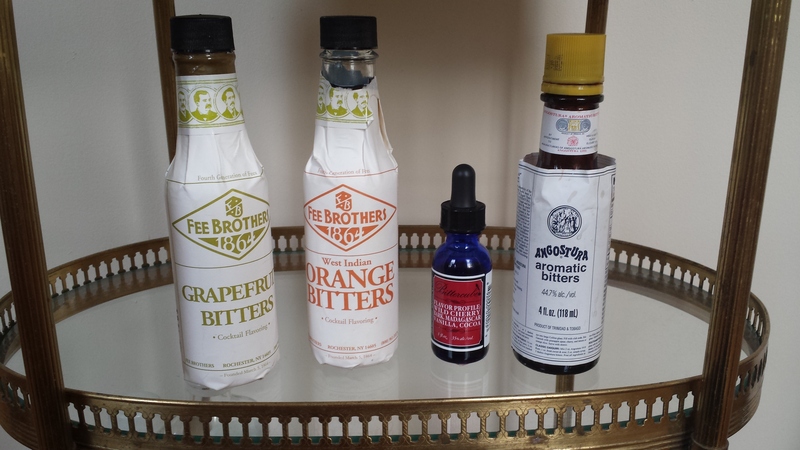 Since I’m always curious about what other people are drinking at home, I thought it might be fun to start a periodic series to show you what’s on my bar cart at the moment. Not pictured (because we ran out of room, or it’s in the fridge or freezer): Luxardo bitter, Lillet blanc, Dolin red vermouth, Du Bouchett’s peach brandy (used in a NYE punch), Jameson, New Amsterdam gin, and some Death’s Door vodka that a couple of friends left at our apartment. * If you live in or around Chicago, you’ve heard of malört: the bitter, herbal, grapefruity, liquor with a hairspray-like back-of-the-throat feel. Jeppson’s makes the original (from an old Swedish recipe, apparently), but Letherbee Distillers decided to take a stab at their own recipe, which turned out decidedly more palatable than Jeppson’s. In early 2014, Letherbee was forced to change the name of their malört after Jeppson’s won their bid to trademark the term. You can read more about that here. It’s more of a novelty drink than anything else at this point, unless you talk to the old Eastern European man who once told my boyfriend “Is good for stomach,” a tip neither of us will ever forget. I love using my Grandma Loe’s old vanity table as a bar, but I’m wondering if it’s just too small to hold my growing collection. 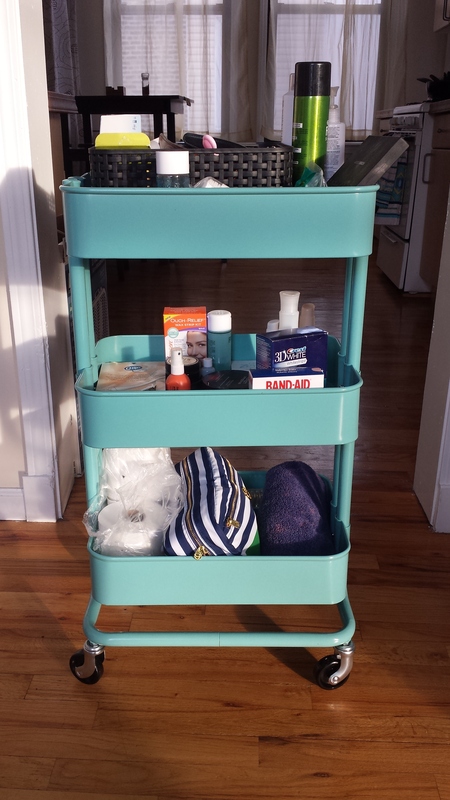 I recently bought a Raskög cart from Ikea, and I’m kind of embarrassed about how much I love this inanimate object. 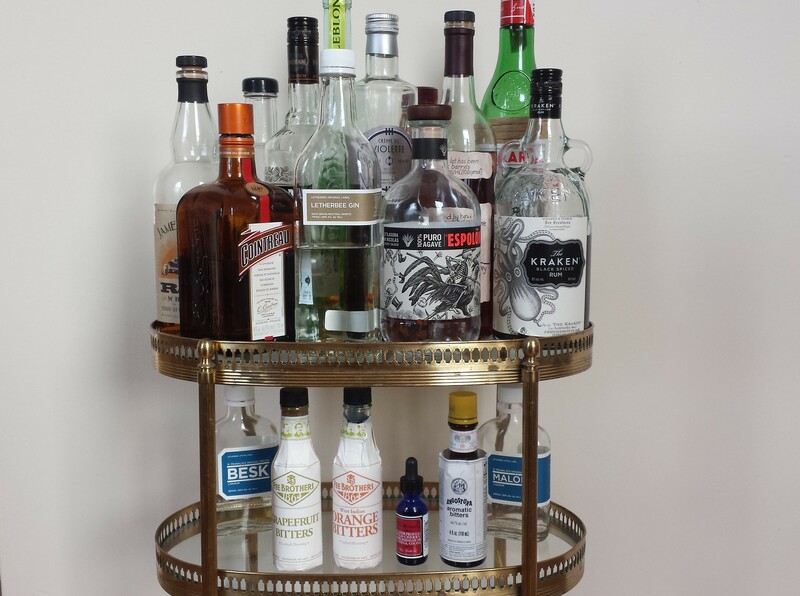 I originally bought it for bathroom storage (it’s doing a great job holding my toilet paper, extra towels, and face-wax strips), but now I’m thinking it could make a really great bar cart. Especially since it’s got castors. What do you think? Stick with the antique, or give the Raskög a chance? And, what’s on your bar cart at the moment? Anything you’re saving up for? Let me know in the comments! I’ve never tried celery tonic—sounds delicious!! Stick with the antique! Everyone and their mom uses the Raskog as a bar cart. Maybe you can get inventive and find a way to put casters on your antique?